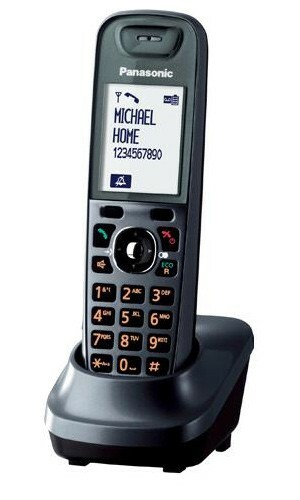 Panasonic KX-TG7525 Quint Pack DECT Answermachine is a value packed new model with many exciting features. Panasonic KX-TG7525 has the same looks as the 8421 in a smart metallic grey finish. Attractively priced and very good value for money the 7525 has a large 2.1" monochrome screen with white backlight and black graphics. Whilst the plastic housing is augmented by a rubberised grip on the back to aid holding for long periods. New for the 7525 is a switchable ECO MODE which has a dedicated ECO button that once pressed reduces standby consumption by 77% compared to none ECO versions. 7525 is fully repeater compatible and up to 4 repeaters can be used to extend the range in all directions.